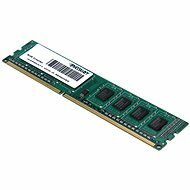 A high quality KIT of two DDR2 memory modules with a total capacity of 2048MB designed primarily for modern, high performance Dual Channel boards. The memory is certified to work at up to 800MHz and supports CL6 timing. 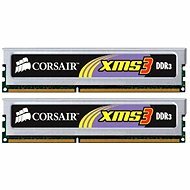 The nominal working voltage of these memory modules is 1.8V and the maximum theoretical data bandwidth in single-channel mode is 5.3GB/s, then the dual-channel mode increases the theoretical data throughput up to 10.6GB/s. The Signature Line series guarantees excellent reliability and performance. This series is especially suitable for desktop systems and each module is carefully tested by the manufacturer. Compared to DDR1 memory, they have reduced power consumption, higher data bandwidth, and can be clocked at higher frequencies, increasing the performance speed. 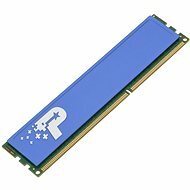 For shipping to other EU countries visit this page PATRIOT 4GB KIT DDR2 800MHz CL5 Signature Line. 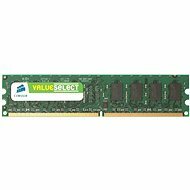 Für Versand nach Deutschland, besuchen Sie bitte Patriot 4 GB KIT DDR2 800 MHz CL6 Signature Line. Chcete doručit zboží do Česka? 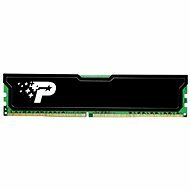 Prohlédněte si Patriot 4GB KIT DDR2 800MHz CL6 Signature Line. Chcete doručiť tovar na Slovensko? 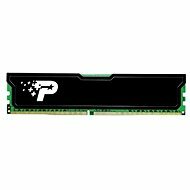 Prezrite si Patriot 4 GB KIT DDR2 800MHz CL6 Signature Line. Für Versand nach Österreich, besuchen Sie bitte Patriot 4 GB KIT DDR2 800 MHz CL6 Signature Line. Magyarországra történő kiszállításért tekintse meg ezt a termékoldalt: Patriot 4GB KIT DDR2 800MHz CL6 Signature Line.